There are several ways how to get to Vesuvious from Naples and Pompeii. 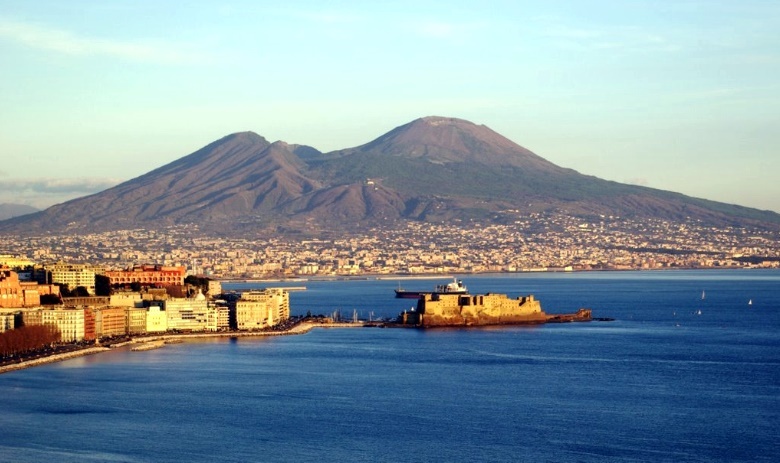 The Company EAV Bus operates a shuttle service from the city center of Naples to Mount Vesuvius. Buses leave from the terminal of Piazza Piedigrotta and cross different parts of the city reaching the Vesuvius after 1 hour and 30 minutes. It is also possible to take train Circumvesuviana from Naples Central train station in direction of Sorrento till the station Ercolano-Scavi (more inf. about how to get to Herculaneum/it. Ercolano you can see here: how-to-reach-herculaneum). The train leaves every thirty minutes (more or less). Ouside of the station Ercolano-Scavi there is a bus station with buses and taxi that go to Vesuvious. The average journey time is 30 min. Buses leave every day from 08.00 till 15.30(because the last entrance to Vesuvio is at 17.40). The average journey time is 55 min. The bus goes till the crater (that is the height of 1000 m). Tickets Pompei/Vesuvio can be bought in the bus. The price for one way ticket is € 2,70. It is also possible to use the train Circumvesuviana direction Pompei-Napoli till Ercolano-Scavi. Ouside of the station Ercolano-Scavi there is a bus station with buses and taxi that go to Vesuvious. The average journey time is 30 min. From the square of the train station Ercolano-Scavi leave Vesuvio Express Bus shuttle that connect Herculaneum and Vesuvious. The bus leave every day, every 40 min starting from 9.30. Two way ticket costs 10 EUROES. 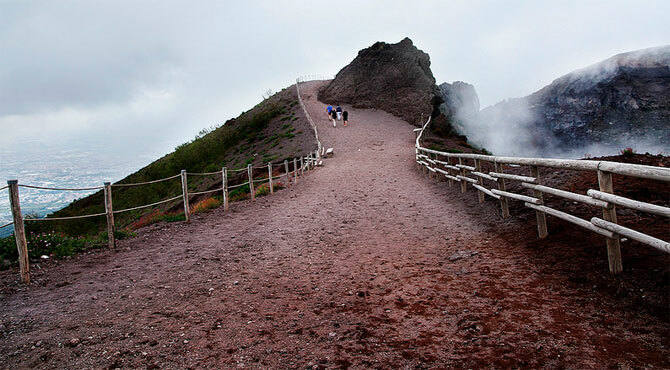 It is also possible to buy integrated ticket that includes also the entrance to the crater of Vesuvius. If you travel from Sorrento, it is possible to take Circumvesuviana train direction Sorrento-Napolitill Ercolano-Scavi. Ouside of the station Ercolano-Scavi there is a bus station with buses and taxi that go to Vesuvious. The average journey time is 30 min. After you reach 1000 m with the bus or taxi, you need to go for some time (around 20 min )on foot till you reach edge of the crater. The entrance is paid and you can enter only accompanied with a tour guide that you find on spot. I would like to use the EAV bus from Naples to Vesuvio. Could you please advise where is the bus stop at Molo Beverello? The timetable says Via Marina but it’s quite a long road with many bus stops so I’m quite confused. I found a bus stop in front of the ferry terminal, called Acton- Molo Beverello, also the red sightseeing bus stops there. Is it possible that EAV uses this stop too? Hi there, Acton and Molo Beverello are two different stops and we are not able to tell you if EAV uses the same stops. I have just read this article and it is really useful. I am wondering if the bus service is still operates? Since due to the recent fires only the north parking place reachable on the Mt. Vesuvio. I am planning to take this bus from Corso Garibaldi, can you give me a clue which bus number should I look for? Hi, do you know if the buses are still suspended from naples to the vesuvius? The buses are running today but they may suspend again without notice in case of fire.